On my way to Mamagoto in DLF Promenade, Vasant Kunj I wondered what do you get if you cross oriental with western? Once inside the restaurant I realized there were a lot of possibilities. Eloquent walls washing the place with exuberance were painted with geisha cartoons and bold red stripes of sun rays. An assemblage of white cycle wheels stood one on top of the other from the ceiling to the floor acting as a partition, creating a snug space for a more personalised experience. This open parlour was decorated with vibrant wall designs of sprawling and crouching tigers. As all the food enthusiasts and critics sat themselves, they were welcomed by the team. And right after, we were drowned in the aroma of oriental sauces and the flamboyant texture play. If I were to give a word to the experience, I would say it was: overwhelming; both in the positive and the negative sense. When presented a fusion: one expects, the unexpected with the comfort of some familiar ingredients from different cuisines. Here is an account of how much this newly introduced ‘dumpling menu’ balances and daringly experiments with. Every dish we were presented had a vegetarian and non vegetarian counterpart. 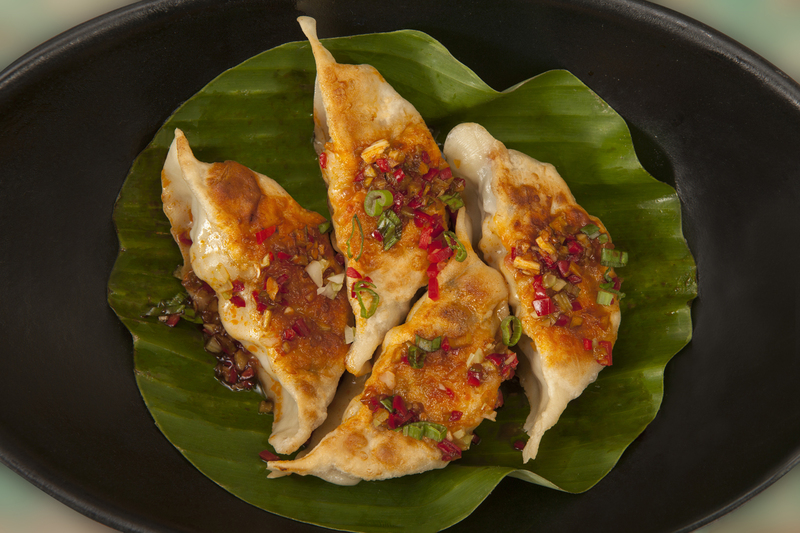 The first dumplings preparation we were offered was the Traditional Peking Dumpling which came snug in a deep wooden bowl drenched with a sweet sauce made of Chinese vinegar, teriyaki sauce, soy sauce, red chilli and sesame oil. 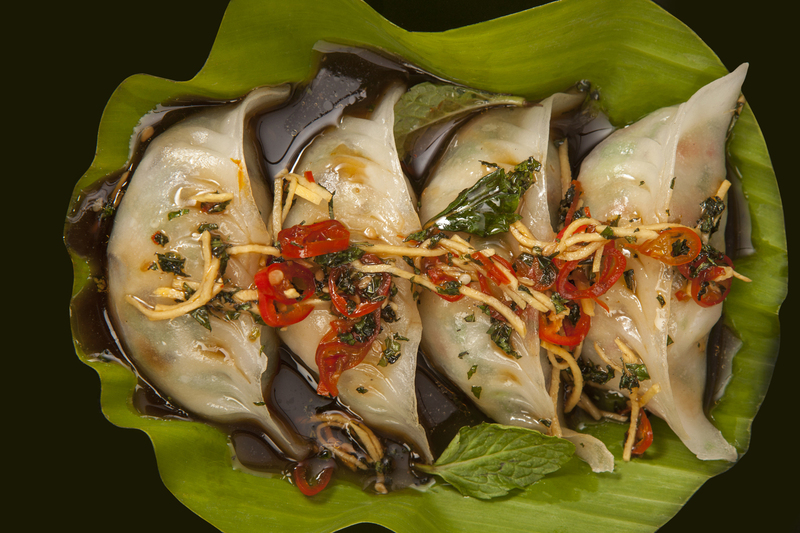 The green skinned vegetarian dumpling was soaked in this overpowering sauce and hence lacked the suppleness one expects in its skin. The dumpling was filled with an assortment of chopped water chestnut pieces, shitake mushrooms, button mushrooms, Chinese cabbage, etc. Next, arrived a dish with a very creative take on Mantou bread where it was given a metropolitan fast food twist. This Tokyo Metro Mantou was a sandwich/burger where the non-vegetarian counterpart came with chicken sticks between the white Mantou bun while the vegetarian dish came with fried aubergine. Aubergine which by nature is sticky, despite being covered with bread crumbs lacked the much needed crispiness which would have contrasted with the fluffiness of the bread. Though the wasabi mayonnaise and bulldog sauce gave it a strong mustardy flavour and provided an interesting experience. The non vegetarian Tokyo Metro Mantou, lacked an assertive play of spices unlike its vegetarian counterpart, and the texture became boring since the dry fluffiness of its Mantou bun clashed with the plain chicken. The Old School Gyoza was the next preparation. This dish was a regular pan fried dumpling with shitake mushrooms and other chopped vegetables dressed with chilli oil. The non vegetarian counterpart was again more muted in terms of spices and coriander seemed to dominate the preparation. 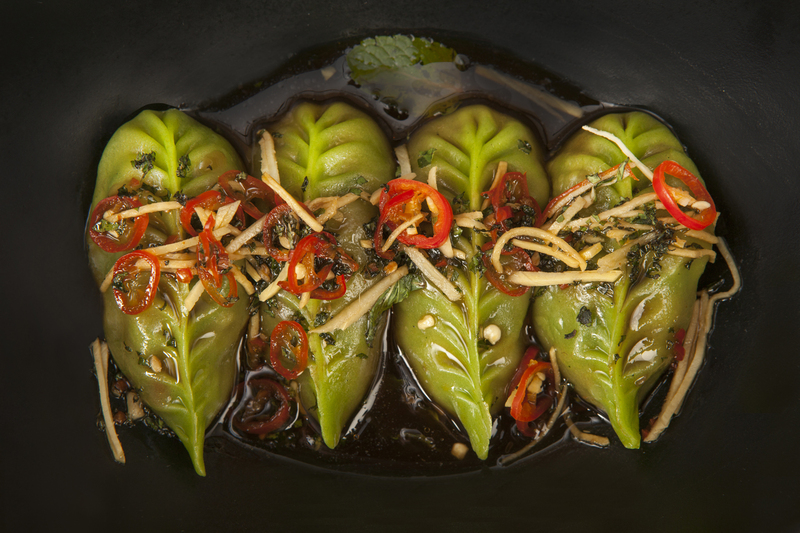 Jungle Veg was the next arrival, stuffed with vegetable and heavily dressed with ginger, mint and soy sauce. A bold dish with strong scents, it is not for the faint hearted. 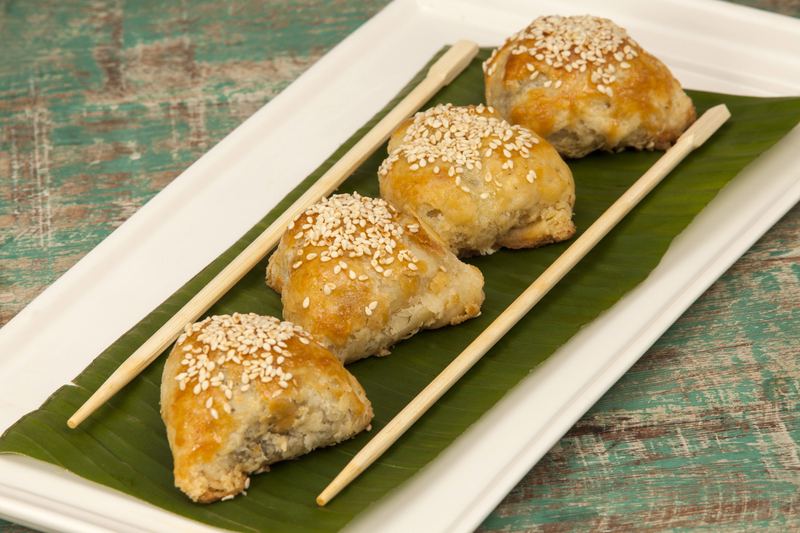 Before wrapping the session with the dessert, we were served the Street Style Spicy Dumpling. The vegetarian preparation of this recipe had fresh crunchy bits of what tasted like fresh vegetables. With tofu/paneer inside and red hot chilli sambal sauce, this was an absolute delicacy. The non vegetarian counterpart was filled with tangy minced chicken and one could get fresh waft of coriander. All in all both the Street style dumplings were a fresh welcome. In the end we were served a much needed pudding that worked as a fantastic palate cleanser. Served in a martini glass it was a preparation of sago with coconut cream topped with freshly cut mango. The best part about this dish was the fresh mint leaf topping which provided a breezy lightness to the dense sago texture and complimented the fruit. With every spoon one could expect the natural sweetness of the season’s produce of mangoes. A suggestion to make every spoon wholesome is if only mango and sago are not layered one on top of the other in the pudding. On the contrary, they can be mixed together so that the end of the dish does not become an endeavour of bearing gooey and lightly sweet sago remains. All in all, I felt like the New Mamagoto Dumplings menu does push the limits of experience of one’s palate. It does try hard to create new textures and flavours. And rather than saying it succeeds in some places and fails in some, let’s just say that it overindulges its preparations with the sauces and undermines the simplicity of a single and assertive spice.